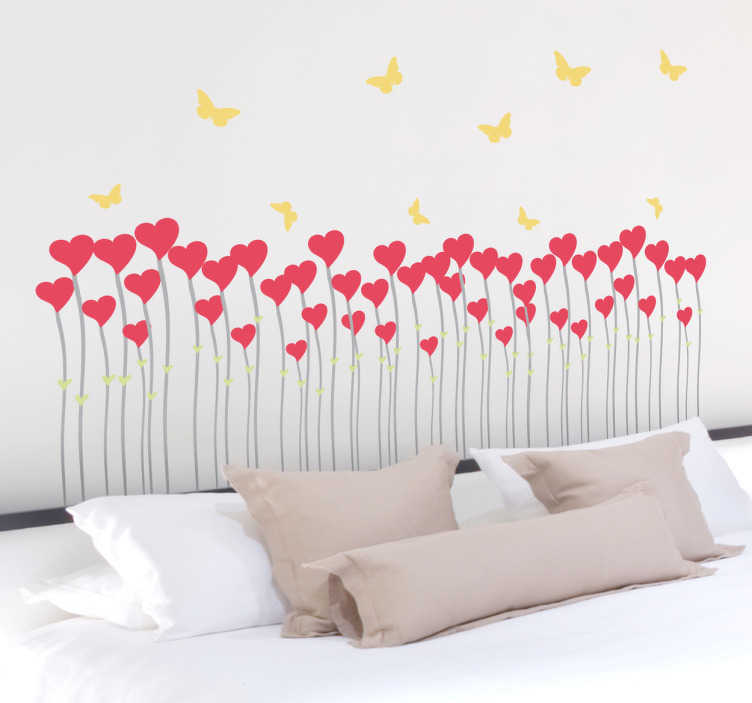 Heart shape flowers under fluttering butterflies from our collection of heart wall stickers to decorate your wall! A distinctive feature to add to your living room or to your favourite room in the house! If you love roses and nature then this heart wall art decal is for you! This field of hearts design is suitable for all smooth surfaces. Super easy to install and available in various sizes made from high quality vinyl. Leaves no residue upon removal.